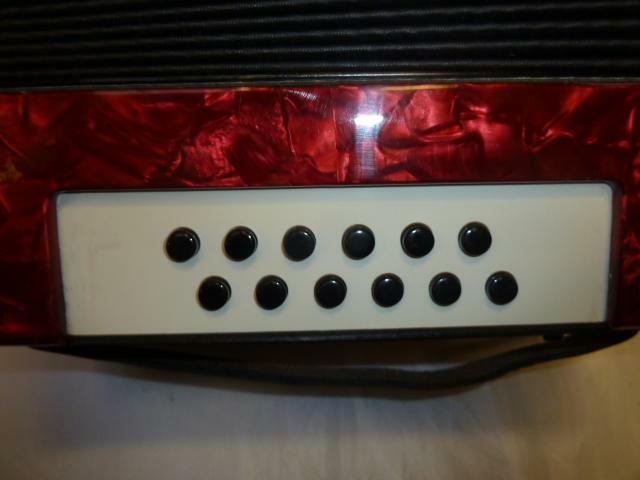 An extremely lightweight and compact Galotta 12 bass accordion suitable for a child. 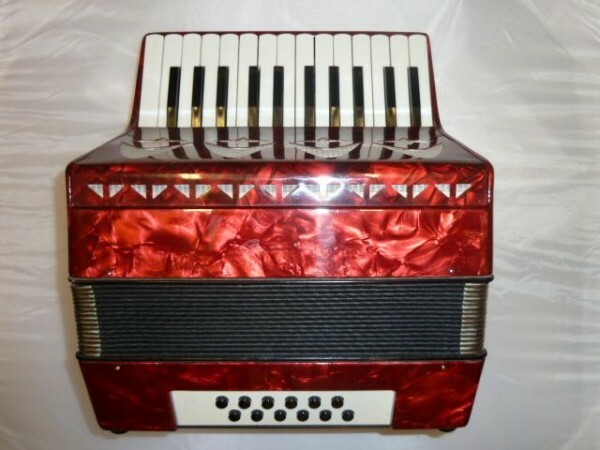 Designed and produced in Germany by the highly respected Weltmeister factory, this accordion is finished in a very attractive pearl red casework. This extremely popular model features a bright two voice tremolo tuning and a powerful bass tone. 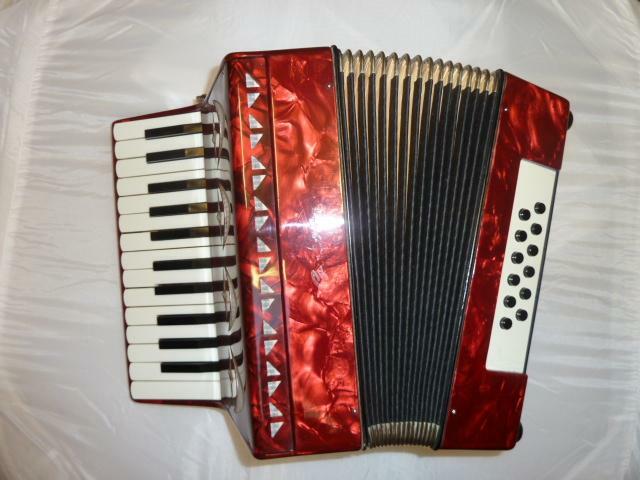 This preowned instrument has 26 treble keys and 12 bass buttons, and would make an ideal first accordion for a young child, or as an ultra compact and lightweight second accordion for backpacking with or taking to festivals etc. Presented in very good condition for its age. 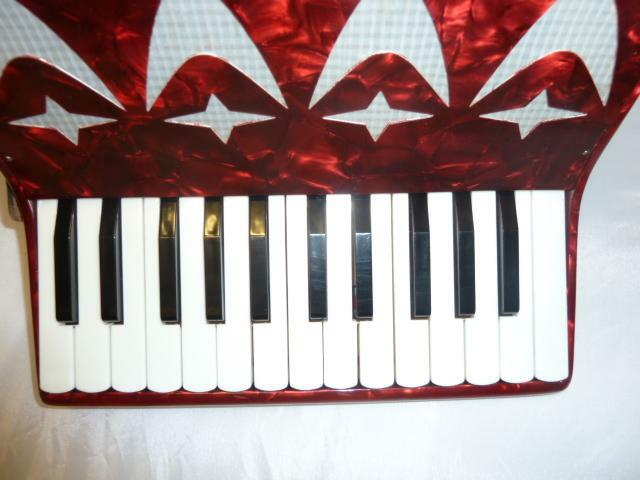 A 0% interest free loan is available on this Galotta 12 bass accordion subject to status via the Arts Council. Terms and conditions apply – please contact us for full details. Don’t forget, free delivery of this Galotta 12 bass accordion to most parts of mainland UK is included! Weight: 3.18 Kg. - 7.7 Lbs.